End Card Screens are a great way to gain more views and boost subscribers but you can still add change end screens on your phone. 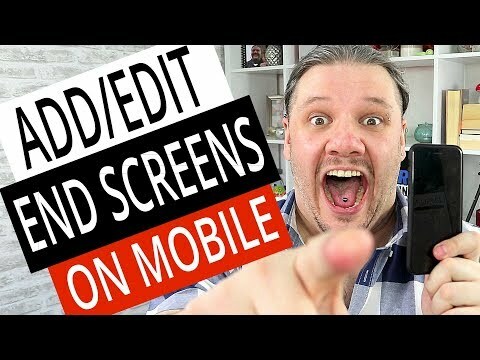 In this tutorial I will teach you how to add end screens with your iphone YouTube App android smartphone, edit end screens, add links and subscribe links all within the new YouTube Studio Video Editor system. Add End Screens with your iphone smartphone or mobile phone to engage your viewers and push them to playlists. This can help boost session watch time, increase your search ranking and get you more suggested views in the YouTube Algorithm. Edit End Screens with YouTube App to improve click through rates on end cards. This will help redirect people to the videos, playlists and websites you want people to visit. Maybe add a link to a mailing list, Facebook page or website you sell your services from.